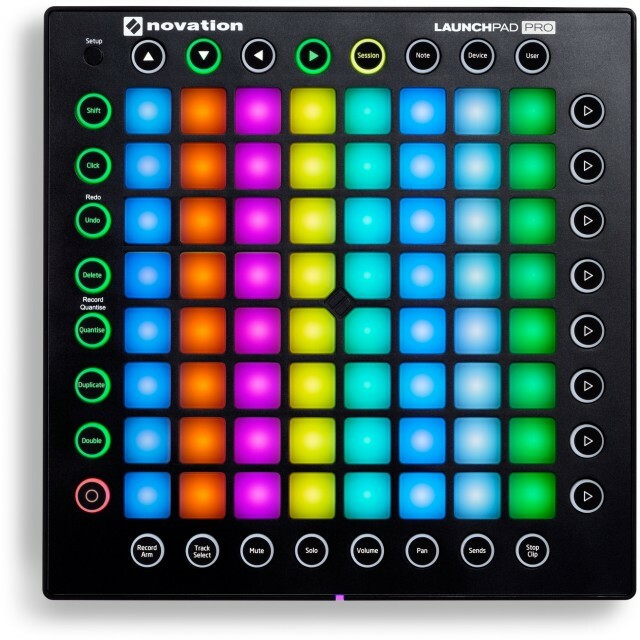 Novation’s Launchpad Pro is here. 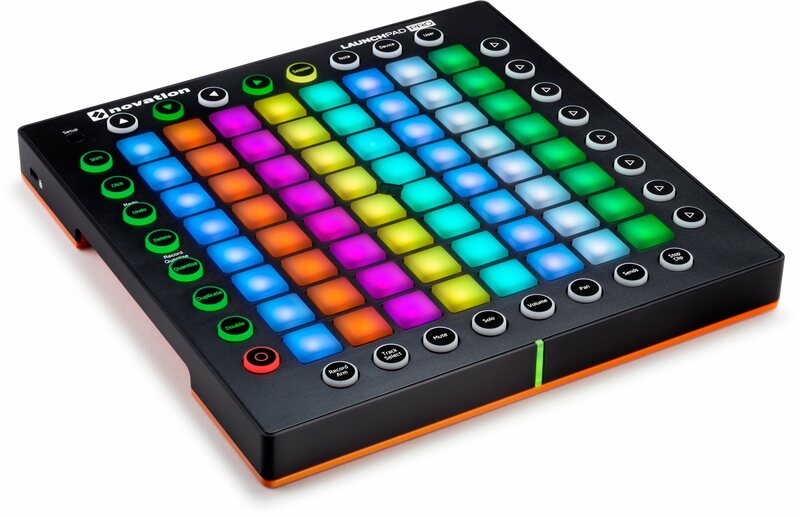 It shares the same compact footprint as earlier Launchpads, but adds full color, pressure-sensitive pads, and MIDI inputs and outputs, plus the ability to operate without a computer. So, with other grids to choose from, where does this one fit? The Launchpad line of controllers has always been about simplicity. Even when the original Launchpad was introduced, it did less than its nearest rival, the AKAI APC. But it was popular partly thanks to being simple, light, small, and affordable. That fits many users’ needs, and can be nicely combined with other hardware. The Launchpad Pro keeps to that approach, but with more features to round it out as a production tool and performance controller. And it isn’t just for Ableton Live, either – it has a respectable feature set when used with other MIDI software and hardware. I’ve got one of the first units and have been carrying around using it. Let’s have a look. The Launchpad, drawing on a tradition established by the monome community, is all about triggering clips, making patterns, and playing melodic and drum instruments from a grid. Ableton Live support is standard, which makes setup easy – make sure you’ve updated Live 9, plug in, and go. But integration with other music and live visual software is possible, too. That includes Novation’s own iOS apps, FL Studio, Bitwig Studio, and Renoise, to name a few. Launchpad mini – the portable one. The ultra-compact model offers a basic 8×8 grid with yellow/red/green lighting and trigger keys. Those triggers are labeled A-G and 1-8 on the hardware, but included stickers let you mark up whatever assignments you want for your software of choice. Launchpad – now RGB. The current Launchpad keeps the original basic Launchpad design – USB, grid, row of triggers on top, column of triggers on the side. But it adds RGB color for more visual feedback on what you’re controlling. The current color “Launchpad” replaces the first two Launchpads. I still have original Launchpad serial number 7, and it holds up, but it’s not driverless like the other models. The Launchpad S is more compact and has some aesthetic and functional improvements, but you might now opt for the mini instead. Original Launchpad: Bus powered. OS X, Windows drivers. Not USB class-compliant, so you can’t use it with iOS – but there is actually a Linux driver contributed by the community, so you can use it with a Raspberry Pi. Launchpad S, Launchpad mini: Bus powered. Driverless. Current, color Launchpad and Launchpad Pro: Bus powered, but iOS doesn’t provide enough power, so you’ll need a hub. Driverless. Remarkably, the Launchpad Pro isn’t much bigger than the original Launchpad – and it’s much smaller than Ableton’s Push. But it still does a lot. The most important change is the pads. Unlike the rest of the Launchpad line, the Pro is the first and only model (so far) with velocity and pressure sensitivity for more expressive performances. For 4×4 grids with larger pads, I’m partial to what Native Instruments has done with Maschine and Akai with Renaissance. On 8×8 grids, though, the nearest rival is certainly Ableton’s Push. 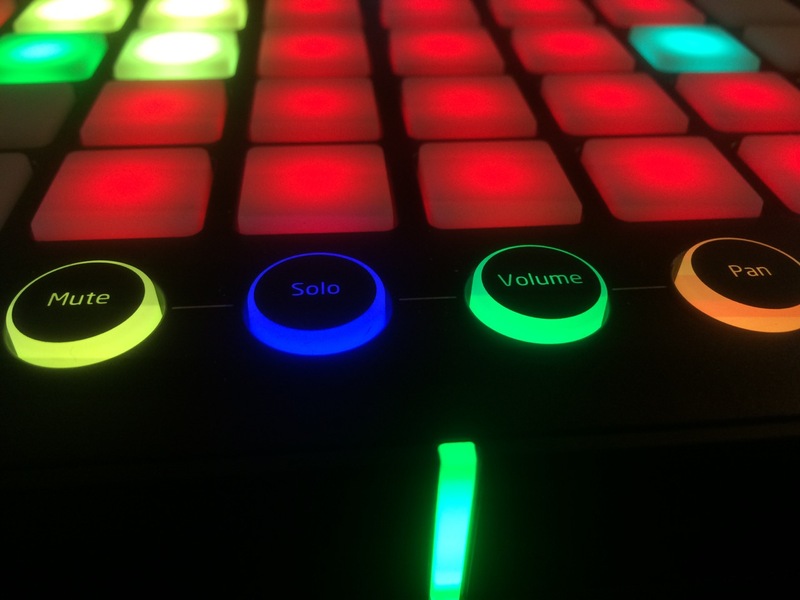 Color feedback is bright and clear; I actually prefer the colors here to Maschine and Push. And now you do have additional triggers, which means a functions previously doubled on the right-hand side now have their own, dedicated controls. The best part of the Launchpad Pro is its form factor. As on other recent Launchpads, the rubber mat keeps the controller in place when on a surface. You can really wail on the pads, and it won’t budge. Contrast that to Ableton’s solution on Push, which is adding a lot of weight to the device – something that’s nice when you’re in the studio, but not so nice when you put a device in your bag. The Launchpad Pro has some added weight, too, but not enough to give mobility a second thought. Round the back, you’ll find a jack for a power adapter (for standalone operation, instead of powering via USB), USB, plus minijack breakouts for MIDI input and MIDI output to hardware. 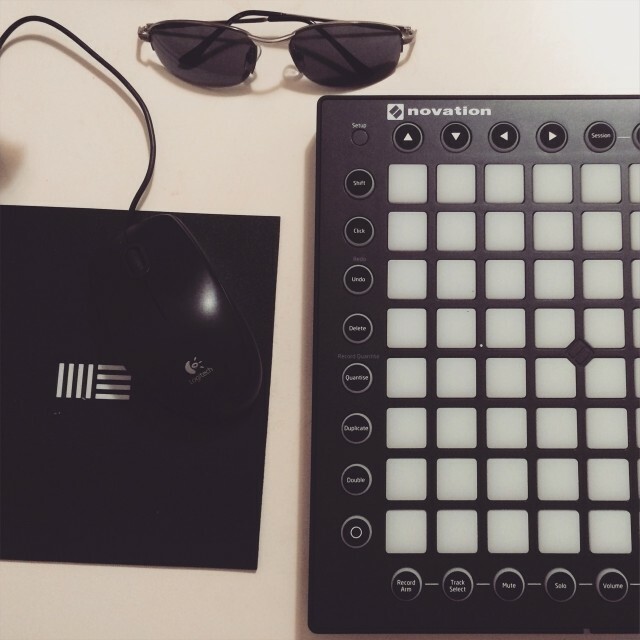 There are five ways to use the Launchpad Pro with Ableton Live, and they’re clearly marked on the top with the mode buttons. Note (Melodic): On melodic parts, you get a grid of notes. It’s spaced chromatically (half step) in rows, and by fourths in columns. You’ll see a C major scale marked in blue, with octaves in pink, so you could use this as a visual reference to stay in key. Now, that means there’s some overlap — to make a chromatic scale, you would actually use the 5×8 section on the right-hand side of the grid. You can’t change scale mappings as on Push – that’s the problem with lacking a display. But you can use Ableton’s MIDI Devices to do the same job (Pitch, Scale to transpose or restrict pitches). Note (Drum): On Drum Racks, instead of the blue/pink display, the grid maps to loaded samples. 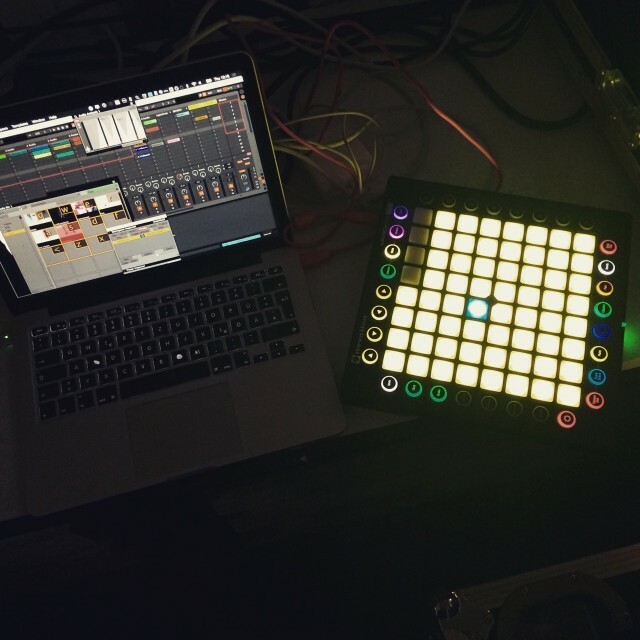 As Ableton added with Push and Live 9.2, the entire 8×8 grid is usable. Unlike Push, though, there’s no step sequencing mode. Device: Device mode maps to the active parameter controls for instruments, effects, and the like. As on the Session faders, you can use velocity to transition through values at different rates. Here, the Launchpad Pro is decidedly at a disadvantage versus Push, though: without a display, you don’t know what you’re controlling, and you’re likely to miss turning encoders. On the other hand, with the right performance setup, this could still be useful. User: Novation introduced the idea of a ‘User’ page for easy mapping with Max for Live and the like, and it’s back here. (You will need to do your own patching to add velocity transitions between steps, but that’s possible.) I like it for another reason, too: here, notes are mapped chromatically by row in groups of four, then by major third vertically. So, how does it compare? The upshot of all of this is a controller that’s much more limited than Push – and more like a traditional Launchpad. Now, I tend to shift between doing quick improvisation on a controller and fine-tuned editing on the display with the mouse, so for me, this is fine. But, then, if the Launchpad is all about performance, I miss some performance-oriented features even more. The absence of a step sequencer for melodic and drum tracks is frustrating. And I really miss having a Note Repeat feature, as found on Akai gear (old and new), Maschine, and with dedicated controls on Push. On melodic parts, that single grid I’m sure won’t work for everyone, either. All of this calls out desperately for some Max for Live hacks (or other custom tools in other software), which I expect we’ll see coming soon. 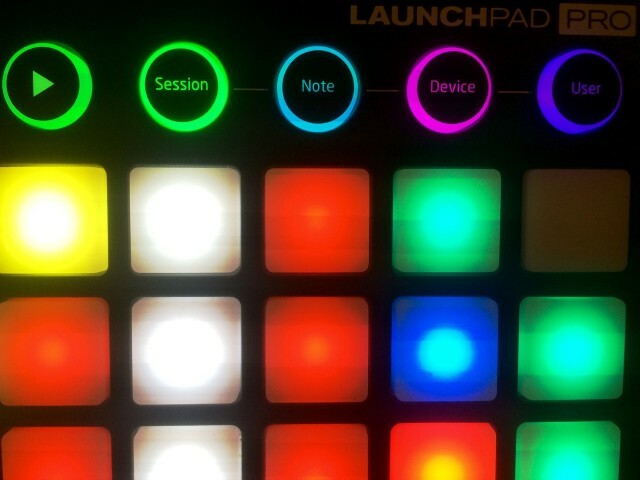 The affordability and simplicity of the Launchpad line seem to motivate hackers even more. One side note, relevant to using the Launchpad Pro as a controller instrument. Making a pad expressive requires a combination of hardware sensing and firmware. In my ongoing tests, I’ve been impressed both anecdotally – and when measuring MIDI values as I play – by the hardware. There’s a large velocity range, you can hit different parts of the range accurately, and sensing from pad to pad is consistent. setting the top and bottom points in this way we created the maximum playable dynamic range. Next we figured out where the main playable area of the curve lies and flattened out the curve in this range to make the majority of playing more controllable. Finally we created a high curve and a low curve to suit different styles of playing and lighter or heavier handed players. These two curves were created by adjusting the main playable area upwards (HIGH – output is greater for the same velocity input) and downwards (LOW – output is lower for the same velocity input) while keeping the maximum and minimum points the same to maintain the full dynamic range. The curves are remembered per layout so you can select the MEDIUM curve for use with a chromatic instrument and the HIGH curve for playing drums, for example. the maximum range. Medium and high settings raise the threshold making it easier to play the pads without triggering aftertouch with a reduced range. Here’s where things get interesting. 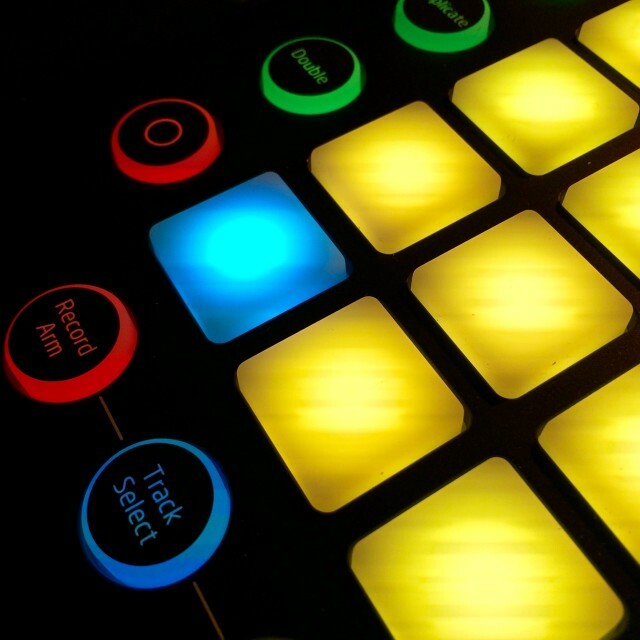 Connected to your computer, the Launchpad has three MIDI ports in software: “Live” (when Live is running), “standalone,” and the physical MIDI DIN. So, you can easily intercept MIDI messages. If you aren’t running Ableton Live, the Launchpad automatically switches to one of the default layouts. That makes it convenient for use with other software. Even better, connect the Launchpad Pro to power, and you can use these modes without even attaching a computer – just connect MIDI gear via the included minijack-to-DIN breakouts for the in and out ports. Note: This is the melodic layout. You can use the arrow buttons to move around the pitch grid; the other trigger shortcuts dim (though they’re still MIDI assignable if you choose). As it is in Live, pitch is mapped chromatically along the horizontal axis and in fourths along the vertical axis. Drum: This is a little different than what you get in Live – and actually a little cooler. Each page is grouped into four 4×4 grids and color-coded, perfect for triggering drums and one-shot samples. You can navigate multiple pages, too. Fader: Here, you get eight faders with velocity triggering. Unfortunately, this is the one mode without pages, which is disappointing. You can actually control 16 banks of 8 faders, one for each MIDI channel, but that requires swapping the active MIDI channel in the Setup page. This seems a missed opportunity, especially with color feedback for each page. Programmer: This is an “advanced” mode for programming your own functionality. Even in the default modes, though, there is room for hackability. All of the trigger buttons still send MIDI messages and respond to LED color messages, so even though they’re disabled by default, you could set up some custom mapping. Again, it’s the step sequencer I’m sorry to see missing. But for more advanced interactions in standalone mode, you need access to the firmware. And there’s some good news. In a story we broke last week, the Launchpad Pro is set to be the most hackable commercial MIDI controller to date. A custom firmware API will let you use simple C code to produce your own functionality. The current modes are already great, but the Launchpad Pro for me would become invaluable once it has a usable Note Repeat mode, a step sequencer, and perhaps an arpeggiator or chord generator. All of these are possible in the custom firmware, so now either I can build that myself the way I want or hope someone else does it. The Launchpad Pro and Ableton’s flagship Push aren’t so much direct rivals as two devices that each serve a particular niche. If you want a device that is so deeply integrated with Ableton Live that you don’t even have to look at the computer screen, Ableton Push has no match. Push is by far the most powerful studio device, and has the broadest feature set. And odds are, you’ll miss some of that on the Launchpad Pro. Push’s display, encoders, Note Repeat, touch strip, step sequencing, and flexible pitch layouts mean there’s no trouble differentiating it from the Launchpad Pro. Push is also a good choice for newcomers to Live, because unlike long-time users, they probably don’t already have a workflow with faderboxes and the like. On the other hand, for all the same reasons, it’s possible Push is too much. It’s heavier. It’s bigger. And its street price is twice as expensive as the Launchpad Pro, with Push at $600 street (or a little less if you catch a sale), versus $300 street for the Novation. The fact that it does less also means it may fit a modular setup better – combining with your favorite fader box, for instance. And on top of that, while the Push costs twice as much, it’s useless when disconnected from a computer. The Launchpad Pro is at home with Ableton Live, but it’s also a nice add-on to standalone synths and drum machines. All of this gets still more interesting, potentially, as hackers get their hands on the hardware and the custom firmware API. If you’re looking for a single piece of hardware that integrates all your workflows in Ableton Live, I wouldn’t hesitate to recommend Push. But if you’re mainly interested in a playable grid, in something that’s mobile, and something that works with other hardware, Launchpad Pro is easy purchase at half the price. The only real downside is that some of the Launchpad Pro’s potential remains in the future. 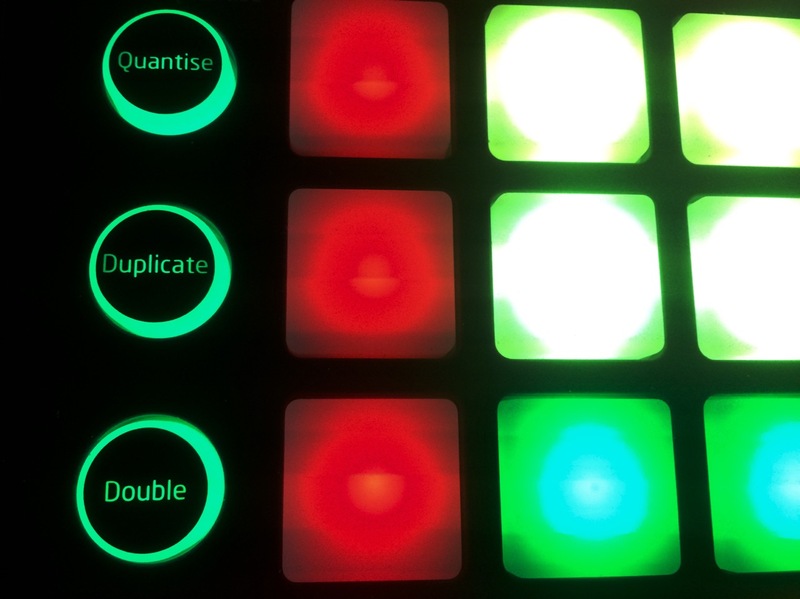 Filling in the gaps in sequencing, giving it more functionality with MIDI hardware, and adding deeper integration with Ableton Live and other hosts will all rely on the community of hackers giving it more to do. But for now, it’s the most mobile and playable grid on the market, and if past experience is a guide, that community will make it more valuable as it ages, not less.